1. We think we have a reason for staying right where we are. We might even think it’s a good reason. It’s not. 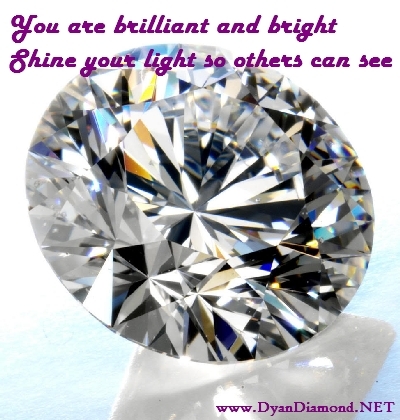 Your heart is longing to shine your light and share all of your gifts. 2. We are comfortable where we are. It’s just too much trouble to change our lives that much. Don’t let your dreams scare you. It will be much more comfortable, peaceful and happy when you choose to follow your heart. 3. It’s not great here, but we know the place – we know how to navigate this life we’ve choose. Your dreams are not too much trouble. If it is your heart’s callings – it will be lovely. There may be some growing pains, but even they will feel much better than choosing not to listen to your heart. 4. We can’t see how things could possibly change. It just doesn’t feel possible. Life is full of endless possibilities and endless new beginnings. We always have the power to change our lives. We may have to get creative about it, but if you can dream it, it CAN be done. 5. We feel bad about our circumstances – we feel like we got ourselves into this mess and we are so busy being angry at ourselves and others for it, we just stay right there. Your power is in this very moment. Forgive yourself and others. Move on. Do something now, in this moment. 6. We don’t think we are good enough or worthy of having our dreams. Each and every one of us is perfect, just as we are. Take a deep breath and know that you are very worthy of everything your heart calls for. You are a divine child. How could you not be good enough? 7. We don’t think we are capable of getting what our heart wants. Every time you take a step toward living your dreams, the Divine meets you and supports you. Don’t let it all overwhelm you. Take small steps. Small steps take us to far places! 8. We are afraid of what others will think of us or say to us. You can’t control anyone except yourself. People are going to think what they want to think. Don’t buy into any negativity. It’s not yours, it’s theirs. 9. We don’t trust ourselves to follow through on our dreams. If you do not trust yourself right now, start immediately doing what you say (to yourself) that you will do. Whatever it is – exercise, getting your resume together, signing up for school. Take it all in small steps, but do it and keep doing it. Pretty soon you’ll be amazed at how you can trust yourself. 10. We don’t trust God/the Divine to have our backs. Just surrender the worry and concern to the Divine. Just let it go. Take steps, but don’t worry after you have surrendered it. Watch and see what happens. This is amazing and EXACTLY what I needed to hear right now! Thank you!! Thank you for taking the time to let me know! You are very welcome.